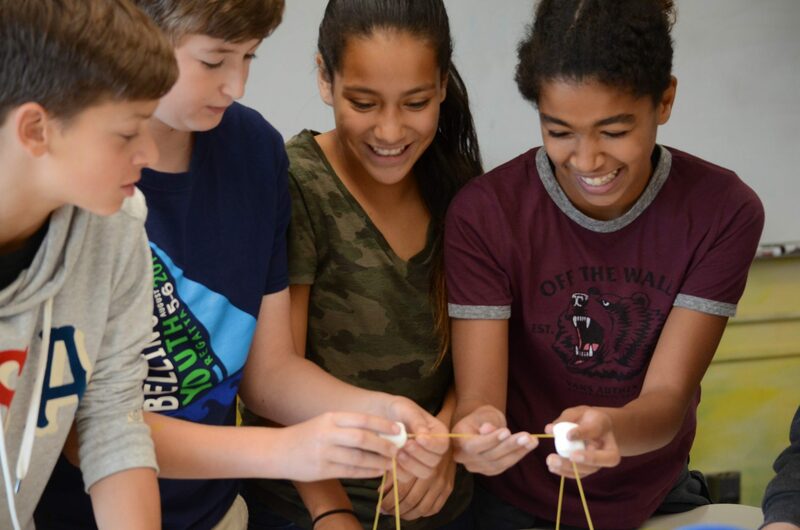 Explorer West Middle School is committed to socio-economic diversity. We believe that the financial aid program benefits all students and families – whether or not they are financial aid recipients since we are able to enroll outstanding students from a variety of backgrounds who otherwise would not be able to afford the full cost of tuition. During the 2017-2018 school year, approximately 30% of our families received some form of financial aid, with financial awards of up to nearly the full cost of tuition. Although we cannot afford to give financial aid to all who apply, we encourage all families who may require assistance to apply. In order to determine if your family is eligible for financial aid, you must submit an application through the national organization, School and Student Services for Financial Aid (SSS). While SSS processes the information, financial aid decisions are made at the school. Apply online at: https://sss.secure.force.com/familyportal. Explorer West’s school code for SSS is 3095. Completed Parents’ Financial Statement (PFS) submitted through SSS. A copy of your completed 2018 tax return and all supporting forms sent to the IRS with your return- submitted via SSS. Please download the SSS Financial Aid Flyer for step by step directions on submitting and application. We have also prepared responses to the more frequently asked questions Frequently Asked Financial Aid Questions. For additional information, you can refer to this 2019-20 Family Guide to Financial Aid. SSS provides webinars and other valuable help in the application process, including Spanish language applications. Please visit https://sss.secure.force.com/familyportal for more information. If you have additional questions, please contact Carol LaMotte, Explorer West’s Business Manager, at 206-935-0495 for assistance. The deadline for sibling early admission financial aid applications is Monday, December 3, 2018- Parent Financial Statement (PFS) only. The deadline for new student financial aid applications is Thursday, February 7, 2019. Please note: Families submitting a financial aid application for siblings will only submit the PFS in December (using an estimate of 2018 tax return information) and will submit the supporting documents to the school as soon as they are available in February.